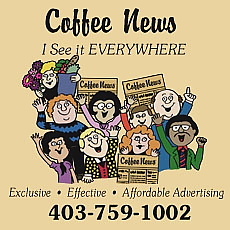 I wasn’t in the mood to join thousands of people celebrating Canada Day, Sunday, July 1, but thought I’d check out a couple of the city celebrations anyway. 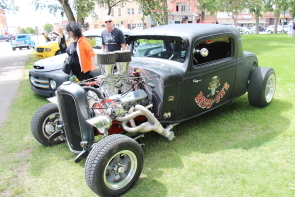 I arrived at the end of celebrations in Galt Gardens as organizers were announcing the winners of a show and shine. As I missed the music, I wandered over to Henderson Lake park, and threaded my way through crowds of thousands of people, dogs, food trucks and merchants. 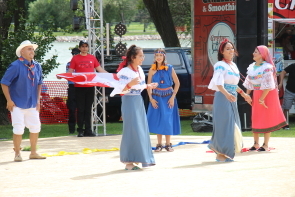 I enjoyed the Ecuadorian Social club show off their traditional dance. 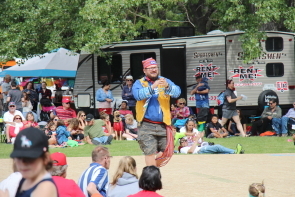 I was impressed and entertained by Roy Pogorzelski showing off frenetic Metis jigging dance moves, then breathlessly tried to teach a passel of over-enthusiastic children and brave adults how to do the steps, advising them it was more important to have fun trying.